As primary schools round the country return from holiday, ‘school gate’ relationships are picking up where they left off. The importance of these relationships to adults delivering and picking up their children, can be gauged by their regular appearance as a topic on the ‘talk’ section of parents’ website Mumsnet. Indeed, Mumsnet has produced its own quiz on ‘school gate mums’. 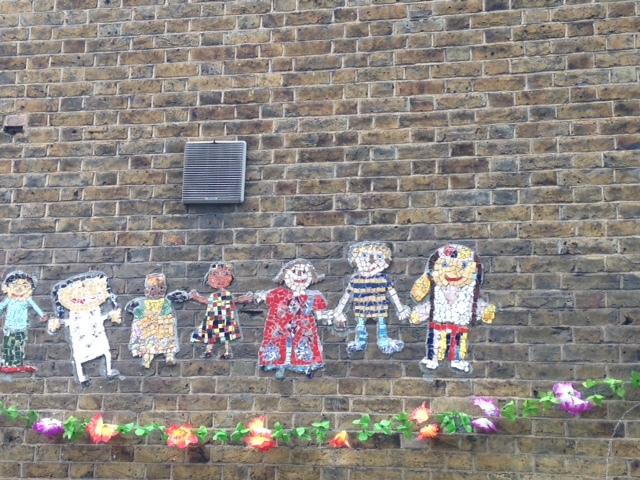 Our recent research (conducted by Carol Vincent and Humera Iqbal at UCL Institute of Education, and Sarah Neal at University of Sheffield) set out to explore the social relationships made by adults and their children who live in areas with diverse populations and attend local schools with others from a range of ethnicities and social class backgrounds. Having a child at primary school means that many parents meet regularly, often twice a day for seven years, in the playground, as they deliver and collect theirchildren, who are being educated in socially and culturally diverse classrooms. 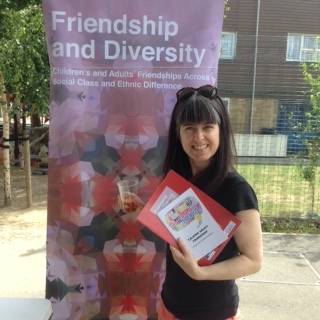 We were interested in what kind of relationships result from this proximity, so, focusing on three London primary schools, we spoke with 8 and 9-year-old children, parents and teachers to discuss friendships across difference, asking if adults and children make, maintain, or avoid friendships with those who are in a different social class or ethnic group. The overwhelming majority of the 46 parents to whom we spoke were positive about the diverse nature of their children’s primary, and some noted that it was this diversity that had made them choose the school. The schools all promoted strong messages about accepting and celebrating difference. Indeed, the children appeared to mix well, particularly across ethnic difference. Nearly all of the 78 children in the study had close friendships (identified as a ‘top five’ friend) with others in the class who were from a different ethnic group. 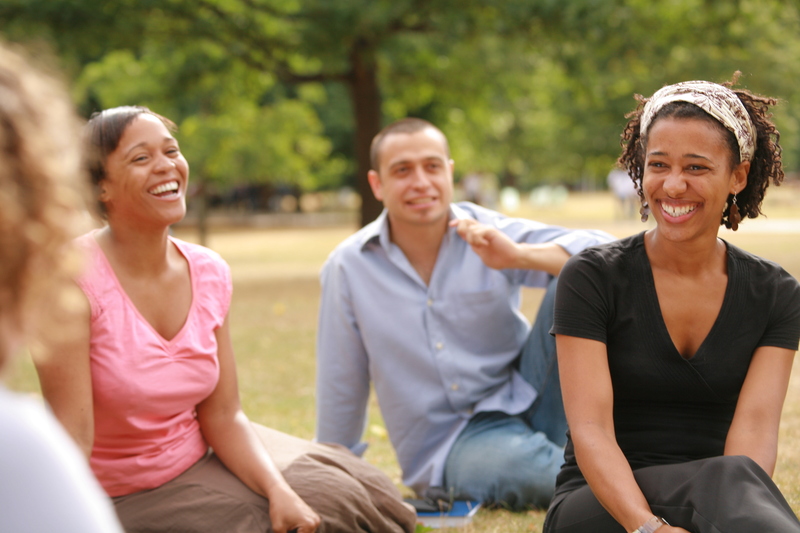 A majority had close friends who had a different social background to their own. When we looked at who the children said their ‘best friend’ was, there were still a significant number of friendships across ethnic difference (nearly three quarters). There were far fewer ‘best friend’ friendships across class difference (just over a quarter of the children). But the adults told a different story about their own friendships. Relations at the school gate were generally cordial, but, with some notable exceptions, the adults tended to live – as one mum described it – ‘side by side’. 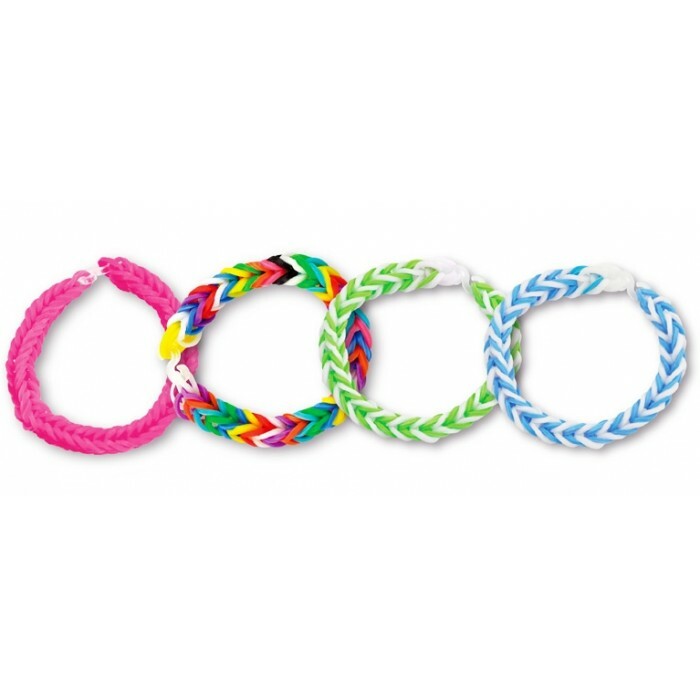 Parents explained that making friendly overtures to people who were different involved considerable effort and risked social awkwardness, such as language barriers or simply not knowing what to say. Such encounters could cause anxiety. Making friends with ‘people like me’ appeared to offer mutual interests, a basis for trust and shared points of reference from the start. This tendency was not limited to one particular ethnic or class group but apparent amongst all social groups. This included the white British middle classes, even though they had often made a clear and positive choice to live in a diverse locality. “The society is a little bit, you know, reserved society. That’s my view. Apart from places like pubs and school, […] sometimes in park areas as well, where children can go and play, you can see people opening up, opening themselves, so you can have such kinds of interactions and in rare situations, rare conditions, making friends.” (Black African father). However despite evidence of some wariness over too much difference, we also found that some parents were concerned about too little difference in their lives. They were aware of the apparent contradiction between living in a diverse neighbourhood and not having that diversity reflected in friendship networks. The casual playground encounters, the greetings, the small talk, the interactions over the children all contained potential for making more substantial relationships with people different to yourself, drawn together by the shared bond of the children and the school. Indeed, we found cases where such relationships had formed. We also identified a small group of parents who more confidently engaged with difference and took an open, purposeful and intentional approach to socialising and making friends across social and ethnic difference. For these parents, this was the way people ought to live in a diverse neighbourhood. Our research findings can be read positively, or less positively. The more positive reading emphasises the general amicability 0f parents’ and children’s relationships. We found little evidence of hostility or tension in the playgrounds or classrooms, and cultural difference was not simply understood as desirable, but as an integral part of everyday life. 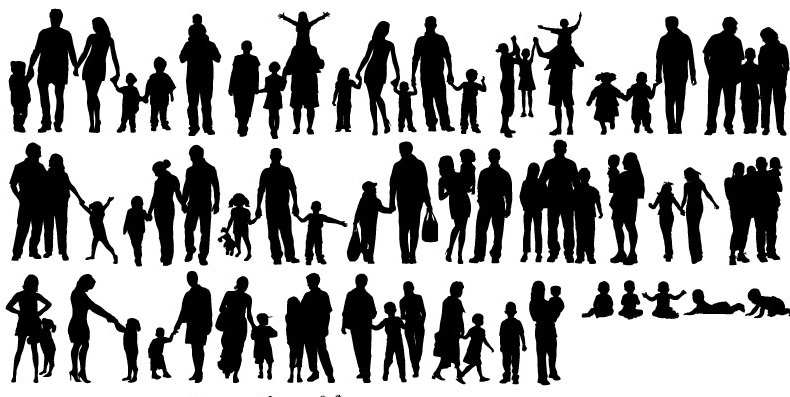 Less positively, we note the distance between many parents, and their tendency to retreat into groups of ‘people like me’ – a clustering that also affected which children met-up out of school. Our final point is to note why we feel the diversity of adults’ and children’s social networks is important. One answer is to point to the rise of hate crimes since the EU referendum, a rise which has continued, although thankfully slowing, into September. This rise seems to expose fragile communal ties, a puncturing of the illusion of an inclusive society. Having social networks which include those different to ourselves, such as those forged in the classroom and at the school gate, could help develop our readiness as a society to value diversity. Certainly the Mayor of London, Sadiq Khan, thinks so, as he has just announced the appointment of a Deputy Mayor for Social Integration, Social Mobility and Community Engagement to help ensure Londoners ‘don’t just live side by side, but live truly interconnected lives’. 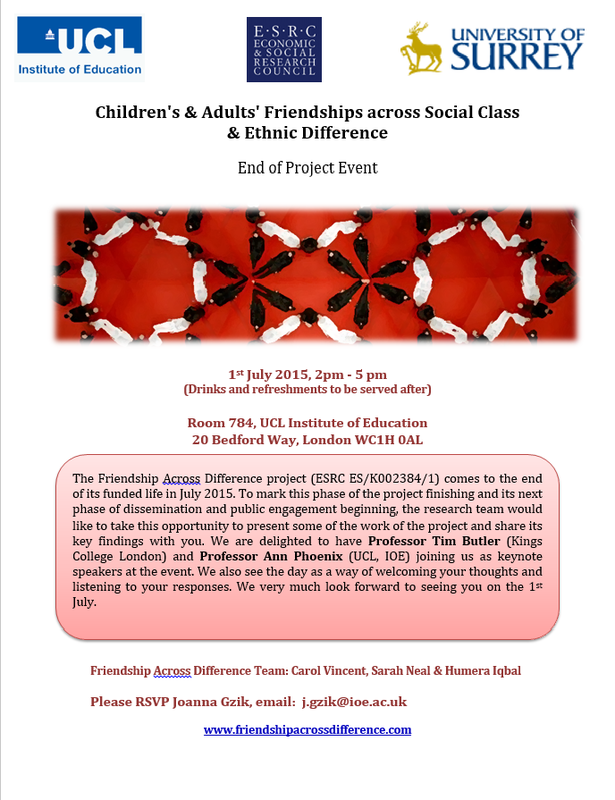 Our project on children and adults’ friendships which ended in the summer explored the ways in which ethnicity and social class are both present in friendship relationships based within and around primary schools. We held a well-attended and very successful end of project event at which we presented our key findings, alongside presentations from Professor Ann Phoenix and Professor Tim Butler who have both been working in related areas, and there was interest from the media (click here).We also attended the summer fairs of our three case study schools, in order to meet families and talk with them about the research. We ran a tombola to entertain the children, and had a summary report to give out, along with a booklet with extracts from the children’s interviews as they discussed their friendships. The project’s final report is pin brief, our data show that for children, but particularly for their parents, class often appeared a more impenetrable barrier to friendships than ethnic difference. 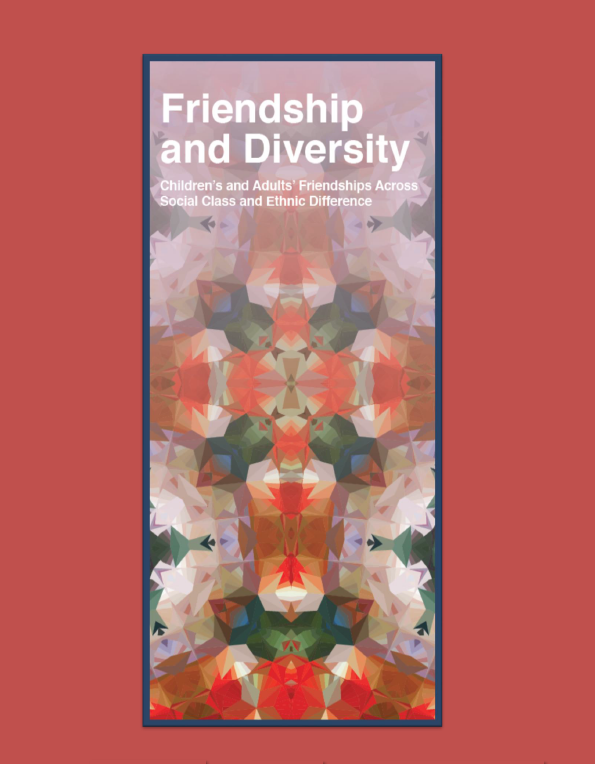 Nearly all of the 78 children in the research had close friendships with others in their classroom who were from a different ethnic group to themselves (we defined ‘close’ as meaning amongst their ‘top five’ friends). There were also close cross-class friendships, but fewer in number than cross-ethnic friendships. However, a majority had close friends – in their top five – who had a different social background to themselves. Yet when we looked at who the children said their closest friend was, there were still a significant number of friendships across ethnic difference (nearly three quarters). There were far fewer ‘best friend’ friendships across class difference (just over a quarter of the children). However, despite these tendencies for encounters with those different to oneself to be slight or even avoided, we found the schools operated as an important point of contact, as the opening quotation shows. 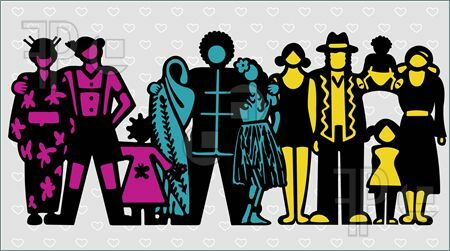 In addition, we point to the importance for adults and children of being part of a diverse school community. Sharing a playground induced a specific playground etiquette amongst adults where smiles, greetings and small talk among the diverse school parent population were important, and research participants complained of any who breached these conventions. We have referred to this as a form of ‘civil attention’, suggesting an extension of Goffman’s well known concept of civil inattention (the process of unobtrusively acknowledging unknown others in public spaces, thereby reassuring them that their presence has been recognised, but no interaction is expected or necessary). The playground etiquette, the sense of sharing the resource of the school with others, and the growing familiarity of the school playground and the others in it , combine to create conditions of attention to others, a mutual recognition which requires some social interaction. For these reasons, we argue that schools offer a valuable space for creating and encouraging encounters across difference for adults as well as children. That is, being part of a primary school world requires acknowledgement of others, a process that involves negotiating complex differences and diversities. Friendship practices contribute to this process. The relatively small and constant populations of primary schools means that interactions in the apparently egalitarian space of the playground have more potential to develop into friendships than fleeting interactions in public spaces, and our case study schools, and many like them, with super-diverse populations offer more immediate encounters with diverse others than many of the more hierarchical and private workspaces in which people are employed. We recognise, however, that primary school playgrounds are not an entirely egalitarian space. Different parents possess different forms and volumes of economic, social and cultural capitals (to use Bourdieu’s terms), and some of these are more or less valued within the field of schooling. We found that across all three schools, middle class parents, often – but not always – white British, were organising the Parent Teacher Associations, sitting on the school governing bodies, and in dialogue with teachers and the head-teacher. In inner urban gentrifying locales, social class and its intersection with ethnicity remain a driving force in determining affective relationships and thus remain a key part of our analyses. The funded part of our project is over now, but we continue to work with the data and its analysis, writing both academic and policy relevant papers. We are also working on a book proposal. There are further things we want to say about friendship and diversity, and we will continue to update this website. On Tuesday the 24th February 2015, we had our last meeting with the Advisory Group before the final phase of the funded part of our project. It was a great event, with really interesting and lively contributions from all and we would like to thank our advisory team for their help. Based on discussions that took place at the meeting, we were able to produce a set of interim findings. You can read this findings by clicking here: MF Interim findings. We hope you enjoy reading these. At the moment, we are busy preparing a final dissemination report for our dissemination event on July 1st. This report will contain a fuller set of findings from the project. Details of this event can be found below and we hope to see many of you there. As you can imagine, it is a very busy and exciting time for the project! The case of Alex, a 5 year old, his parents and a missed party invitation was widely featured this week (19th Jan 2015). From coverage in the family’s local paper, the story appeared amongst other places, on the BBC, Sky News, the Guardian, The Telegraph, the Daily Mail, The Sun, multiple internet forums, and also travelled abroad. In case you managed to miss the details, Alex’s father had accepted a party invitation for his son at a local, Plymouth, ski centre over the Christmas holidays. Alex had not gone on the day and no message was relayed to the party-hosting mother. When the children returned to school, there appear to have been some attempts at communication between the mothers that failed, and so a week later an invoice for £15.95 – the cost of the party package – appeared in the child’s book bag, having been sent by the party-hosting mother. There was also some talk of reclaiming the money through the small claims court. Alex’s father went to the local press, and events spiralled from there. To say it was a slow news day is only a partial explanation of the interest the story generated, as it doesn’t take into account the huge volume of on-line comments across print media and other forums (e.g. the Guardian has, at the time of writing, 1600 comments on the story). Certainly the tale allows for discussion of several themes: the nature of parenting today (elaborate parties for young children), the nature of our interactions (a general decline in manners), the legal system (the workings of small claim courts, and the story as evidence of an increasingly litigious society), and the effect of media, especially social media, in quickly generating massive attention and publicity. As we have been researching adults’ and children’s friendships using the primary school as a source of those friendships (albeit our case study schools have diverse populations, which is not the case for the school in Plymouth), this story caught our attention. The events illustrate how emotive a place the primary school playground can be – for adults as well as children. As children are picked up and dropped off at primary schools, the smoothness of everyday routines is often punctured by small events which are meaningful to the participants, but which are rarely publicised beyond their immediate circles. Parents in our research told us that often they do not discuss difficult topics – a missed invitation or quarrels between children – with the ‘other’ parent. It is too socially awkward and there is a concern about potential confrontation, so usually silence prevails. However in this case, instead of silence, there was commotion, and this is what made the story so unusual and captured our attention. The norms of civility governing interactions between parents in the school playground were clearly disrupted here, by the respective families’ actions of sending the invoice and going to the press. The relationships between parents at any one particular school may be frequently superficial, and not extending beyond a greeting, but what Granovetter called ‘nodding relationships’ (Granovetter 1973 p.1361), and Henning & Lieberg (1996 p.18) call ‘acknowledge contacts’ (p.18) are, parents told us, important in terms of recognising people and validating their presence. What is clearly absent from the tale of these two families is that there was very limited, direct, face-to-face communication, and no existing relationship to fall back on. Parents in our research had differing experiences of interactions with other parents in the playground. For a few – often new parents – the playground was an isolating place, but for some close friendships developed, both within and across ethnic groups, but less often across social class groupings. Connections were made based on clear commonalities such as language spoken, places of origin, or the children’s own friendships, or, occasionally, based on serendipitous happenings, walking away from school in the same direction, for example. Our data shows that the existence or the rupture of parents’ friendships can affect the children, although luckily we haven’t come across a case as extreme as the parents of Alex and his friend. Project Update: Our project is now entering its final phase – slightly frightening when you consider the amount of data we have to analyse! But we have finished all the fieldwork, apart from a small number of re-interviews in our third school, and the coding is nearly completed. We currently have three new papers nearing completion and submission to journals, and we have given feedback to two out of our three schools, and the respondent parents and children there. We have an advisory group meeting planned for April and are planning our dissemination events for June. • The emphasis on the importance of the everyday, the mundane. 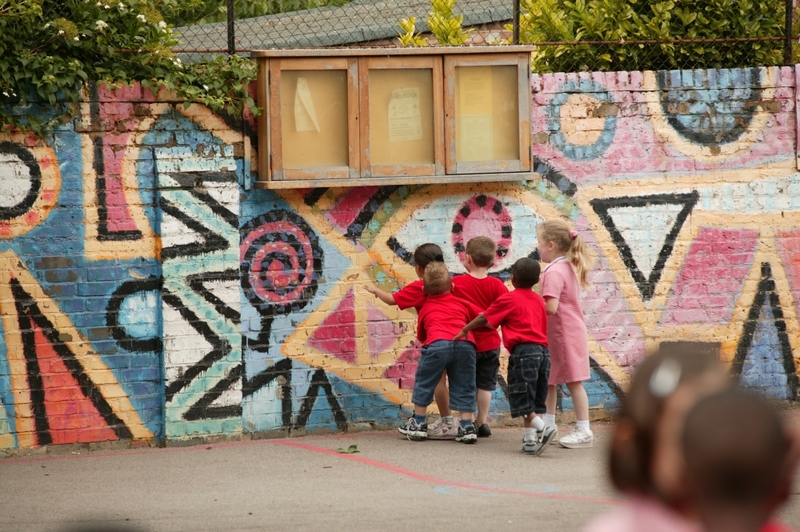 In our research, we are asking parents amongst other things about their experiences of their playground at their children’s school – who do they talk to when they drop their children off? What do they see? Parents spend perhaps 10/15 minutes or less in the school when the children are dropped off and picked up, but the daily ritual shapes the extent to which parents feel comfortable in the school grounds. Schools are a great source of friendship for some parents, but in all of our three schools, parents have spoken about ‘cliques’ in the playground, often based on language/nationality. Once these groups form it can be quite difficult to get to know others outside of ‘your’ group, or to find a group to be with if you haven’t one already. • The ‘strength of weak ties’. Parental networks formed through chats in the playground can be examples of Granovetter’s theory on the strength of weak ties. ‘Weak ties’ (acquaintances) can bring an individual information, different viewpoints, and possibly opportunities (e.g. for employment), from what Granovetter calls ‘distant parts of the social system’. In our project we have found that weak ties between parents with children at the same school have resulted in child care arrangements, discussions and information-exchange on local secondary schools, and social events for children and parents (children’s birthday parties, and play-dates often offer an opportunity for parents to socialize too). • One speaker at the Living Multiculture event, Amanda Wise from the Macquarie University, Sydney, quoted fellow Australian academic, Greg Noble on the way in which the moral and practical elements of living with difference become conflated. We have been aware of this when doing interviews, as we have sought to avoid suggesting implicitly, through our questions, that adults and children ‘should’ have a diverse range of friends, a cosmopolitan circle of acquaintances, and that not being in this position is ‘wrong’ or lacking in some way. • The importance of space and place. The characteristic of the built environment – from the shape of the playground to the presence of a nearby green space – is key in offering or withholding opportunities for interactions with others. ‘Going for a coffee’ after dropping children off is something some mothers (but not fathers) from all our three schools mention, although of course the cost means this is not an activity open to everyone. The expanding café culture in the UK is diversifying. The chain cafes, as Sarah Neal and her colleagues note, attract people in through their bland familiarity; their requirements – where one queues, what to ask for, how much one will be charged – is known to a large number of people. Independent cafes offer a more varied and unknown setting, and often, in our more gentrified localities, an expensive one. I think the school is the best place, when you go and see each other and you meet people, otherwise if you stay home you don’t do anything, you don’t go out, you don’t get to see any other person you know. Normally when you go shopping and stuff you don’t stand up and see people and say ‘Hello Hi’, it is just I think school probably….because you see them every day, so obviously you will get to know them and you will meet many people there. the random members of the public who turn up. These mostly consist of very fierce old ladies at our school with fantastically stiff hair who think the children are all the most appalling brats (not wrong there); or newly arrived, stratospherically rich foreigners (the school is just around the corner from Kensington Palace) and their rail-thin wives. For them, our school fete is a bit like visiting a zoo. A mixture of fascination and horror, plus a chance to buy some useless tat. They don’t quite hold up lace handkerchiefs to their noses, but not far off. Social class, national, and generational differences are on show here. These ‘outsiders’ are not part of this school, nor, it seems do they wish to be. They are assumed to view the children, and presumably by extension, their parents and teachers, as too badly behaved, too poor, and too different to provide anything other than a spectacle. Perceptions of difference and how that affects the development of social relationships between adults and children at diverse urban schools is what our project seeks to explore. We too have recently been to one of our case study school’s summer fairs and saw quite a different picture: an ethnically and socially mixed crowd, packed into a small school playground, lots of varied food stalls, and stalls selling second hand books, toys, clothes, plants, jewellery, cakes, a bouncy castle, face painting, henna painting, table tennis, games of goal scoring and water balloons. There was music, and kids everywhere. A sociable, noisy, festive occasion, which involved large numbers of the school’s parents and children. As anyone who has ever been involved in a voluntary group will know, the bulk of the work tends to get done by a small number of people, and Parent Teacher Associations (who generally organise such fundraising events as summer fairs) are no different in this regard. Developing an active membership , representative of the wider population of the school is something PTAs, like school governing bodies, often struggle with. PTA involvement most of all requires time, a resource unevenly distributed throughout the population. Schools also vary hugely in their capacity to raise money. The school described above charged a £2 per family entry fee, a secondary school within the same borough but located within a much more affluent area, charged £7 per adult/child for entry to their fair. Some PTAs see their role as strictly fundraising, others take a broader view, planning events that may not make much money but provide an opportunity for parent/carers, teachers and children to mix informally, and for friendships, or at least acquaintanceships, to develop. We have finished collecting data at our third case study school now, but still have re-interviews with parents to do. The data is all being entered into NVivo – a slow process, but one that will pay off once it is completed. We have talked about the project at a conference on Superdiversity at the University of Birmingham’s Centre for Research Into Super-Diversity (IRIS), which was a great meeting point to catch up with other people’s current work in the area. 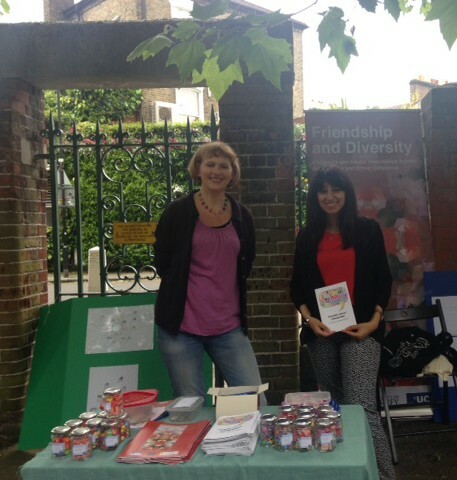 Carol delivered a paper in Hannover, Germany, at a conference on parenting in June, and Humera, one at a social psychology conference in France in July. In August, Sarah will be at the Royal Geographers Society Conference in London, talking about the spaces of friendship, and we will be at the British Educational Research Association conference at the Institute of Education, University of London, in September, talking about what schools can and do to support children in their friendships. In October we will return to Germany for a conference on the role of the middle classes in urban restructuring. Our priority for the summer is to turn some of our conference presentations into papers!